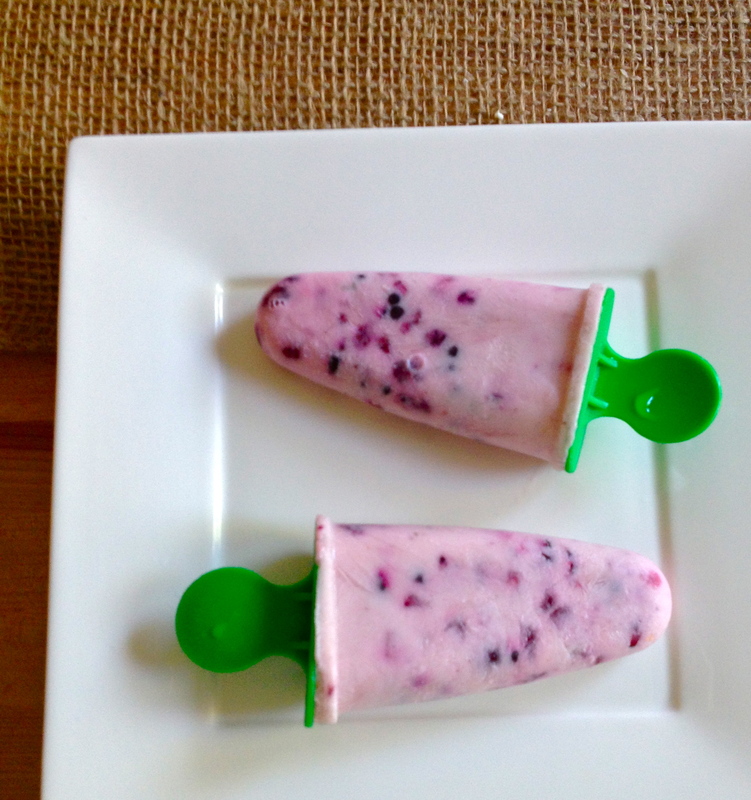 Champagne, Blackberry, and Pomegranate Yogurt Popsicles. There are so many star ingredients in these things that I had a hard time coming up with a name for them. I almost gave up and called them “Tom Petty pops.” Can you guess why? I’m not going to tell you. But I will show you through song (click here). Okay fine, I’ll tell you. 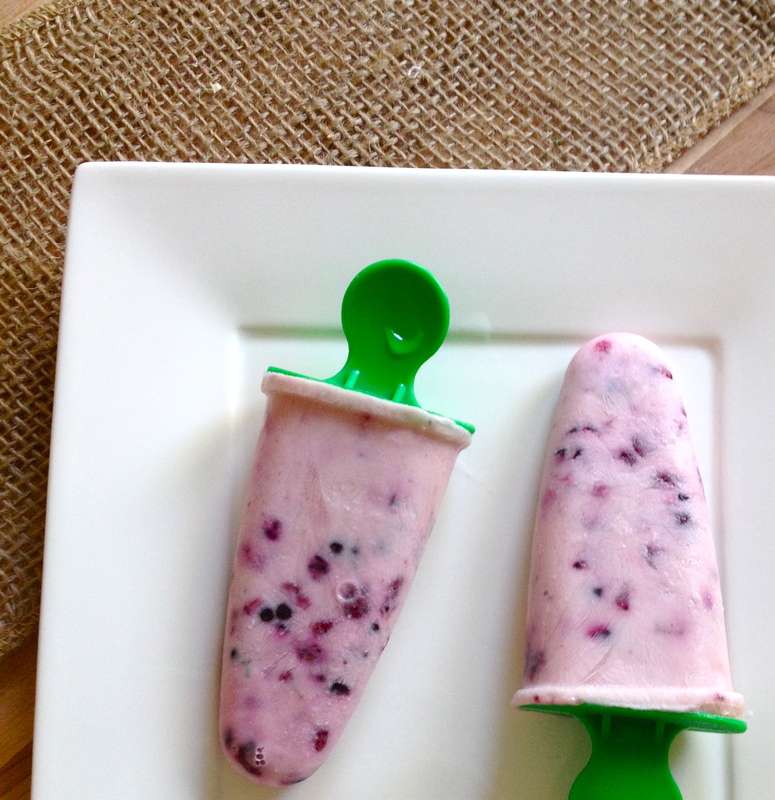 It’s because these popsicles are so pretty to mix, and smell so delicious, and are in general so easy to make….and then you have 4-6 hours of freezing time on the back end. Therefore, “the waiting is the hardest part.” Thanks, Tom Petty. QED. My roommate and I made the long trek out to the northwest suburbs of Chicago on Saturday. We went allllll the way out there in order to ransack the gigantic and heavenly Ikea where all our budget-driven twenty-something decorating dreams come true. I just love that place! We managed to exercise some admirable self-control; one of the essential life necessities I made it out of there with was a cute little popsicle mold. As we drove back into the city (through awful I-90 traffic), I started to plan out all our popsicle adventures. These first ones are born of convenience – I had all this stuff at home already, and we just so happened to have a half-finished bottle of champagne from last weekend in the fridge. It was a bit flat, but perfect for popsicle-making! 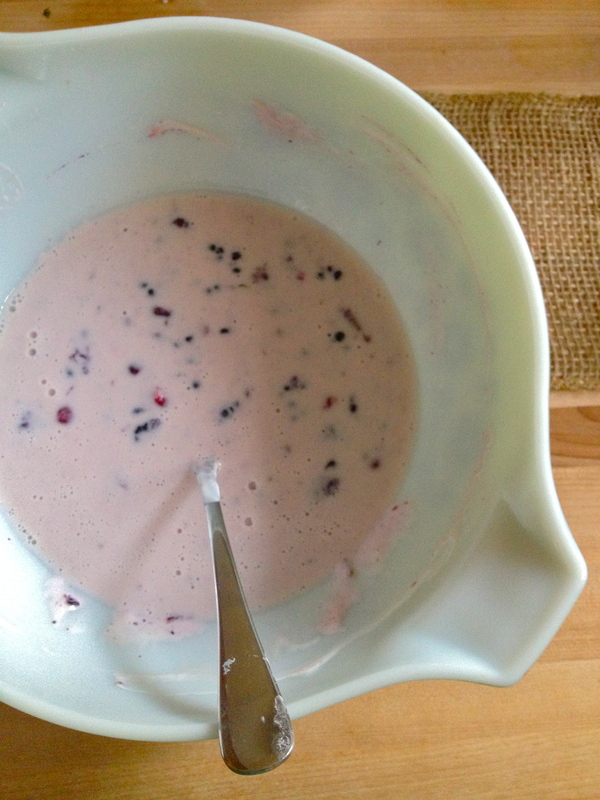 This recipe is incredibly flexible, so if you make it, try switching out the fruits, the booze, whatever – just make sure, if you try hard liquor instead of champagne, to use a little less booze, and to let them freeze a little longer. De-lish. PS As someone who typically cooks/bakes, it was both frustrating and liberating to freeze something for once. 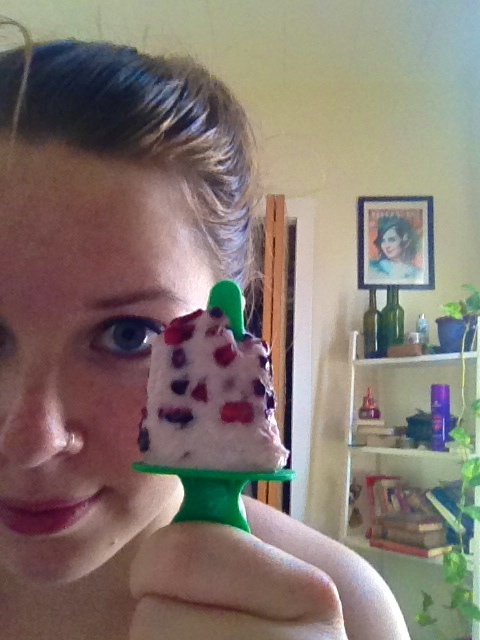 I was impatient for the popsicles to be ready, but loved how I could just forget about them in the freezer! 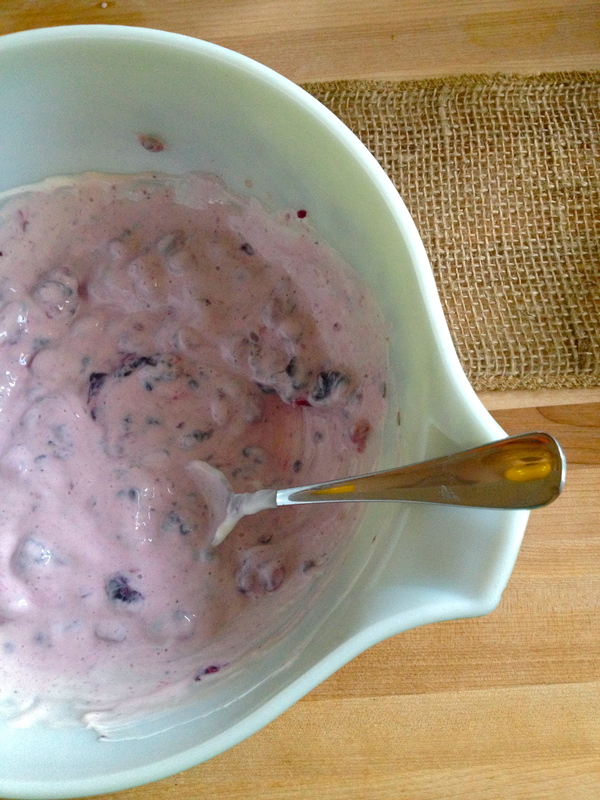 Stir the blackberries, pomegranate seeds, and maple syrup into the yogurt until combined. 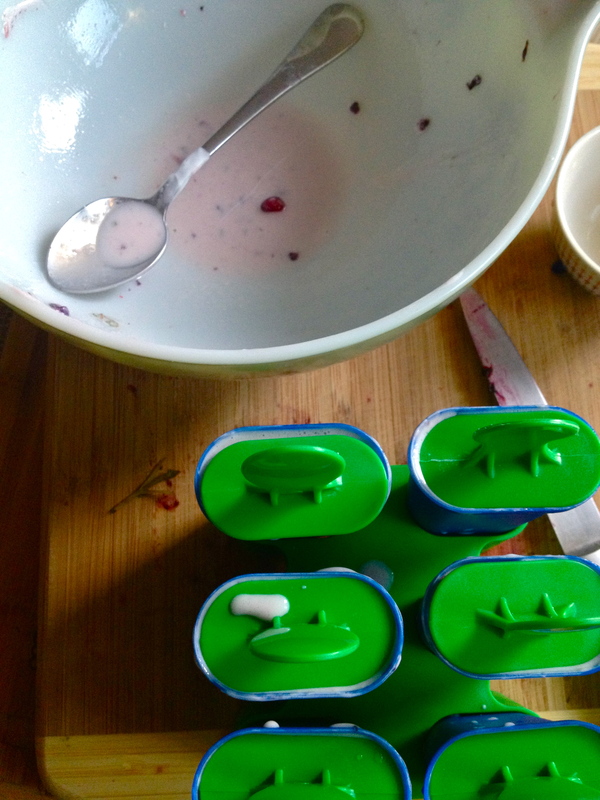 NOTE: The pomegranate seeds will turn into little juicy-seedy ice cubes when frozen. If you want the juice, but not the crunch of the seeds, just pop them in a blender for a few pulses or work them over with a mortar and pestle, and then strain the juice into the champagne, leaving the seeds out. Add the champagne and stir gently. Now fill your popsicle molds. 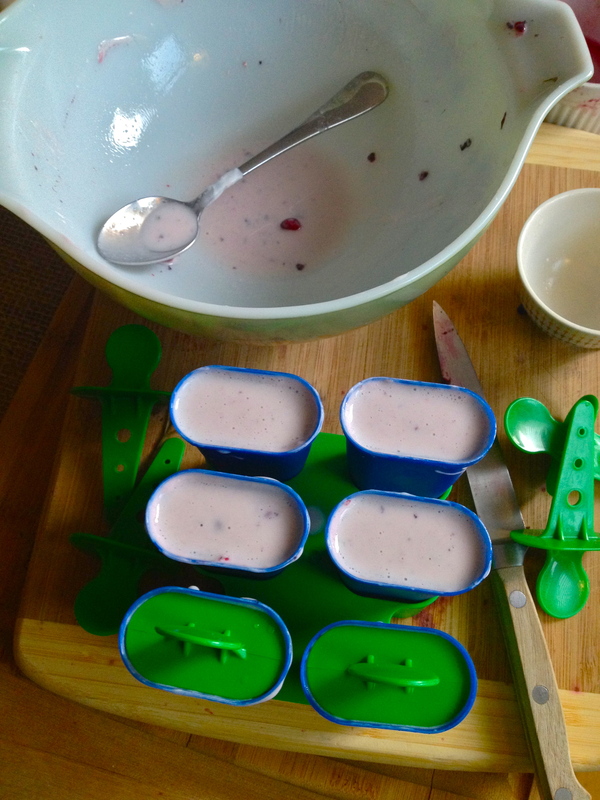 Be careful not to jostle them too much once you’ve filled them; the berries are heavier than the liquid and will tend toward the bottom of the mold, so don’t give them any reason to sink further down than they already will. And freeze for 4-6 hours, depending on the size of the mold and the type/amount of booze you use. I left mine overnight. Then slide them out of their molds and enjoy! See? Fruity goodness, all the way through. Previous Bacon, Bean, and Egg Skillet. Next Chocolate Pudding with Blackberry. They look amazing!! Love, love, love. Good call holding off for summer :) I liked the frozen whole pomegranate seeds, but it would be interesting I think to work the seeds over with a mortar and pestle first, to release some of that juice into the champagne. If you get to trying this before I do, let me know how it goes! I’m Kelly, Chicago-based home cook & amateur recipe developer. I cook & bake like it’s my job (it’s not), and I collect all my best recipes here on Kelly in the Kitchen. I believe in the age-old eating philosophy of “everything in moderation, including moderation,” so I cook a bit of everything: lower-sugar & lower-carbohydrate stuff, gluten-free, paleo, vegan or vegetarian dishes, guilty pleasures and sweet indulgences.